Any car accident that you or a loved one experiences can be very scary. But, when the car wreck is fatal, then it is emotionally devastating for you and your family. Fatal accidents in Charlotte can and do happen. When they do, you have the right under the law to seek compensation for your loved one’s wrongful death. An experienced car accident attorney in Charlotte, North Carolina can help you get the justice you deserve. There are a variety of reasons that fatal collisions happen in Charlotte, North Carolina. 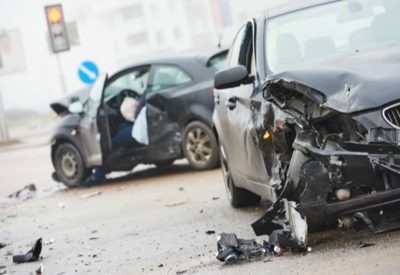 Below, our car accident attorneys have listed the most common reasons why fatal car wrecks occur so that you can protect yourself when behind the wheel. Watch for drivers that display these behaviors and stay away from their vehicles when on the road. Fatal accidents do not have to happen. Follow these safe driving tips from Brown Moore & Associates. Reckless driving: North Carolinians that drive in a risky manner put everyone on the road in danger. Keep an eye out for reckless drivers as their actions can cause fatal accidents. If your loved one dies in a reckless driving accident, you need a car accident attorney in Charlotte, NC, to help you file a lawsuit to seek compensation for your losses. Road rage: Drivers that get enraged on the road can create a hazardous situation for you and your family. In order to remain safe, allow these drivers to pass and never get out of your vehicle to exchange words with a driver that is displaying road rage. There are a number of stories of where a simple angry exchange of words escalates into a fatal incident on the road. Erratic lane changing: When a driver is constantly and aggressively changing lanes, a car accident is just waiting to happen on the road. Unfortunately, a sudden lane change that causes a collision into another car is a common cause of fatal accidents in Charlotte, North Carolina. 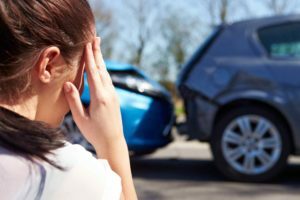 When erratic lane changing leads to a wrongful death, you need the assistance of a car accident attorney in Charlotte, NC, to help you with your case. Failure to stay in the proper lane: Drivers that swerve in and out of their lane put oncoming traffic at risk of having a head-on collision. At certain speeds, this type of collision can be difficult to avoid as someone swerving into another lane isn’t something most people expect. The results can be fatal, which is why you should keep an eye out for those on the road with erratic driving behavior. Police pursuit: When your loved one is involved in a fatal car crash because of a police pursuit, you have a right to take the defendant to court. You deserve to be compensated for the death of your loved one, even if their death occurred during police activity. Discuss your case with a car accident attorney in Charlotte, North Carolina, to determine the legal actions you should take. Driving on the wrong side of the road: Drivers that are confused or impaired often end up driving on the wrong side of the road, putting others in danger. This a growing concern and a major cause of fatal accidents in Charlotte, NC. Speeding: When drivers go too fast for the speed limit, they can cause a serious car accident. High rates of speed reduce survivals rates of drivers and passengers and is a real danger on our roadways. Keep an eye out for drivers that are going too fast and get out of their way to stay safe. Drunk driving: Drivers that are under the influence of alcohol are a serious danger on the road. They have reduced reaction times that can easily cause fatal accidents in Charlotte, NC. When your loved one dies at the hands of a drunk driver, you need a Charlotte car accident attorney to help you get justice for your family. Bad weather: The weather can also cause unsafe road conditions. Whether it is fog, rain, sleet or ice, you need to take caution to remain safe on the road. Poor weather can cause fatal accidents which are oftentimes the fault of another driver that was going too fast for the current conditions. Speak to a car accident attorney in Charlotte, NC, about your case. They can help determine what legal action you should take and who was at fault in your car accident. When a fatal car crash occurs, you need a car accident attorney in Charlotte, North Carolina, that you can trust. It is an emotional time for all involved, and the attorneys at Brown Moore & Associates, PLLC can provide you the support you need to get through the legal process. They will fight for justice in your case and help you seek the settlement or verdict that you deserve for your loss. Contact us today to set up a consultation.